It's 1907 Los Angeles. 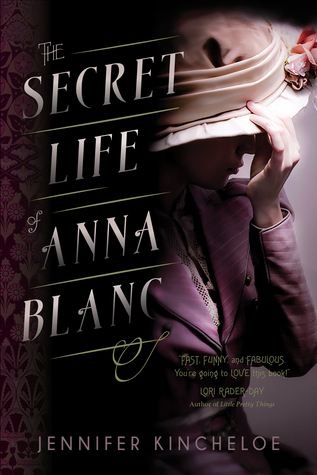 Mischievous socialite Anna Blanc could match wits with Sherlock Holmes, but in her world women are not allowed to hunt criminals. Determined to break free of the era's rigid social roles, she buys off the chaperone assigned by her domineering father and, using an alias, takes a job as a police matron with the Los Angeles Police Department. There she discovers a string of brothel murders, which the cops are covering up. Seizing her one chance to solve a crime, she takes on the investigation herself. If the police find out, she'll get fired; if her father finds out, he'll disown her; and if her fiancé finds out, he'll cancel the wedding. Anna must choose--either hunt the villain and risk losing her father, fiancé, and wealth, or abandon her dream and leave the killer on the loose. 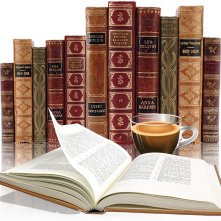 Historical fiction is my chosen genre, it usually involves a known historical figure and I learn a bit about the past at the same time. There seems to be a trend these days in the HF field with fictional characters rather than real one, but with authentic time periods. It's new to me and actually one that I haven't really paid much attention to. Thank you to the publicist of The Secret Life of Anna Blanc for providing a copy to review. It's always fun to go outside of your comfort zone, right? Notice how many stars I gave this book? Yup, that is correct 5 of them. I absolutely adored this book! It was a new experience for me, not only was it a refreshing change, it was fun, witty, entertaining and rather addicting. It was like Sherlock Holmes meets Melissa McCarthy (from the Spy) and I am very grateful for the opportunity to review it. I loved Anna, how could one not? She has an explanation for everything as well as the perfect plan. She wanted a life outside of her fathers plans and went after it, some of her methods were rather shrewd, others a tad far fetched but here it totally worked, because Anna made it work. Being naive in the ways of the world made this all the more enjoyable. The author, Jennifer Kincheloe, knows the time period well, from the social stigmas, rights of women (what rights!) and the life style. I enjoyed her writing style, it wasn't hard to get lost in this book. A solid debut that has me missing Anna, is it possible for a sequel?